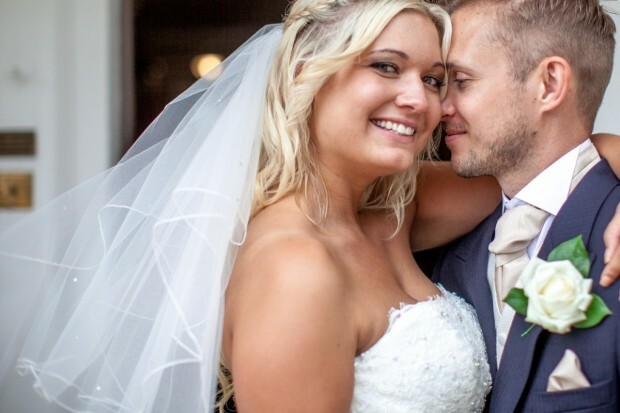 In August 2014, Rebecca and Tom were married at Highfield Park, on the Hampshire border. The charming Queen Anne Mansion, set in 35 acres of stunning parkland was the venue where the beautiful couple Rebecca and Tom tied the knot in front of their friends and family. Although it threatened to rain in the morning, from the moment that they said I do, the sun came out and everybody was outside on the lawn, drinking prosecco, congratulating the happy couple and even playing football! The day ran very smoothly and was incredibly romantic. The great attention to detail and stunning sunflower bouquet felt fresh and up lifting. The bright room provided a beautiful natural light for the photographs, during the wedding breakfast and the speeches. After the food had been eaten, the speeches had been made, the candy bar had been enjoyed and the cake had been cut; the evening celebration began with their first dance. Here are a few of my favourite photographs as always. If you are looking for a wedding photographer, why not get in touch to discuss your day.